There’s no point in denying it; tens of millions of people are having their lives ruined by painful debt or poverty. 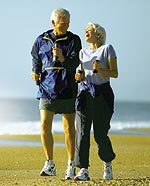 One side-effect of this crippling affliction is the apparent lack of control and inability to stop further decline. Thankfully, philanthropist Tony U S Okwum has the answer, and it’s stupidly simple. 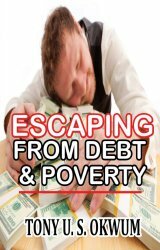 Everything is exposed in his new book, ‘Escaping From Debt & Poverty’, which opts for proven everyman strategies instead of official advice from the government and financial controllers who only have their best interests at heart. According to the book, poverty is a mindset and not a circumstance – and anyone now has the ability to finally understand money and its direct relation to life’s purpose. This is the right book for the right moment. This is the right book on a mission to change your life. For those who are perpetually in debt and experiencing heavy blows from money, this is the right book for you and for those who want to come out of poverty, this is for you. Do you want to maximize what’s inside of you? Do you want to see your potential come to light? I strongly believe that this book will reshape and rebuild you to the real person you always wanted to be by overcoming financial debt and poverty. Your greatest enemy in life is the wrong information that has settled in your subconscious mind which has made you to believe that you can never come out of debt and poverty. And this has almost made you to give up. In this book is the solution to that chronic problem- debt and poverty. The economist won’t educate you better and the government won’t tell you the truth, but this book will always lead you along the right path. Readers agree, leaving positive reviews.